The ZMan and I are big venison eaters. We have a freezer full of venison. We consider it to be the best organic, free range meat we can get, and we love it. 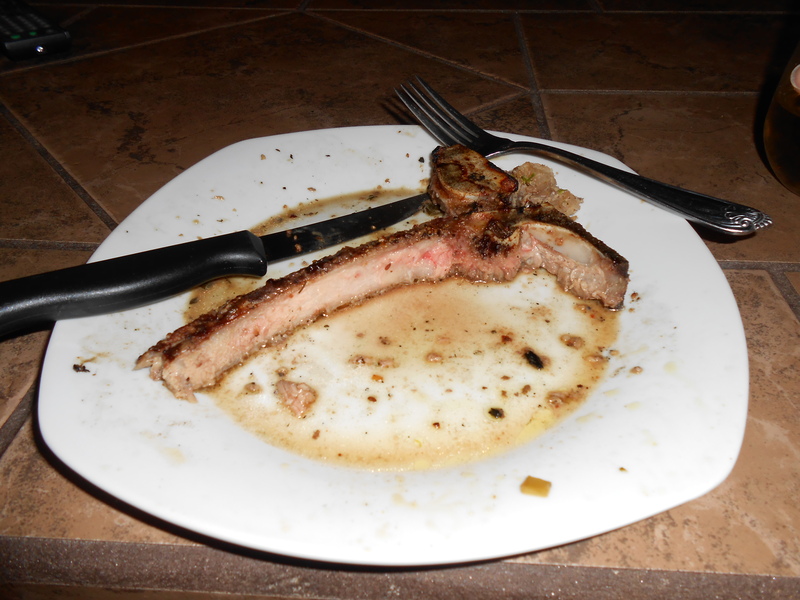 However, I will admit that every now and then we also like a big thick juicy grilled steak. Like these…. 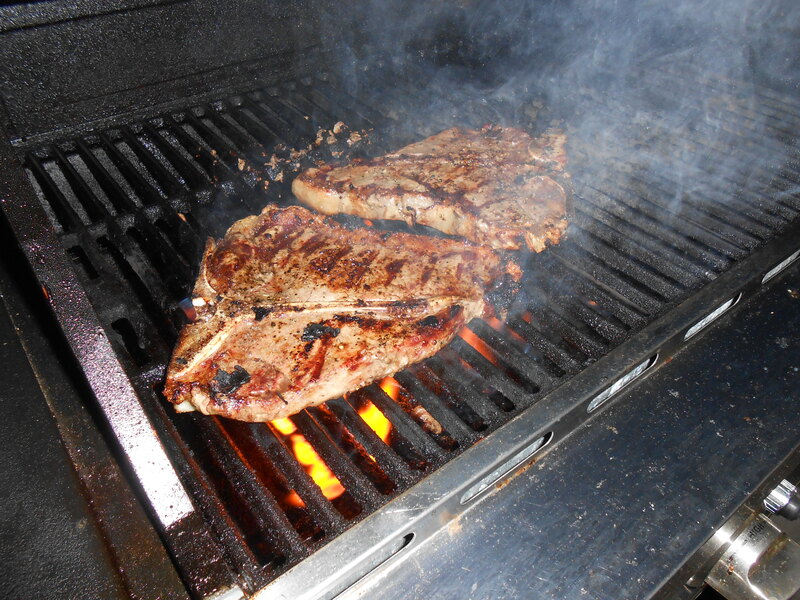 A friend of the ZMan gave him two grain fed prize steer t-bone steaks and we grilled them last weekend. I have to tell you I don’t think I have ever had a better steak in my life. 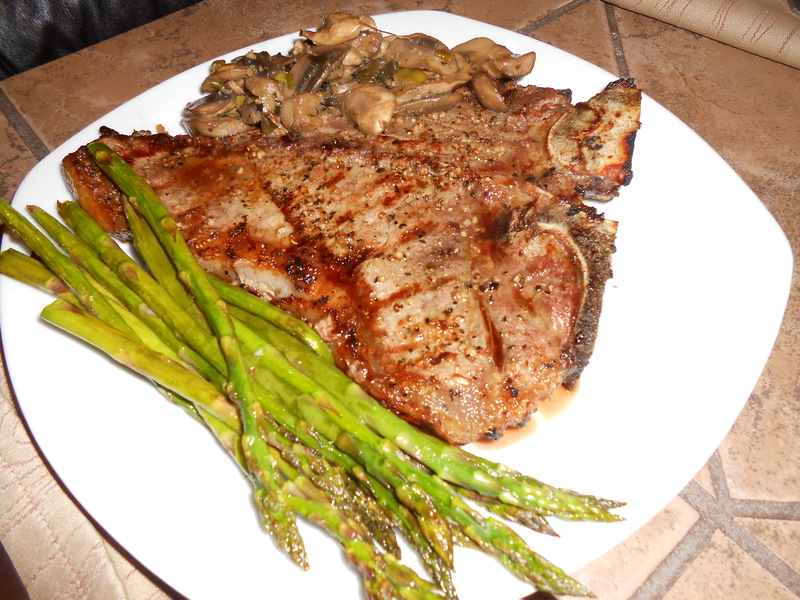 I thought the steaks I bought at the store were good, but man oh man these were perfect. So tender you really didn’t even need a knife, and the flavor was Outstanding!!!!! I am going to try to get my hands on more of these for the freezer to have on hand for when we do want one. I love it when you get a chance to try something new and then love it. Thanks to the ZMan’s friend for the wonderful steaks!!!! Oh Yea Baby we cleaned the bone!!! But, now I’m spoiled for good meat! 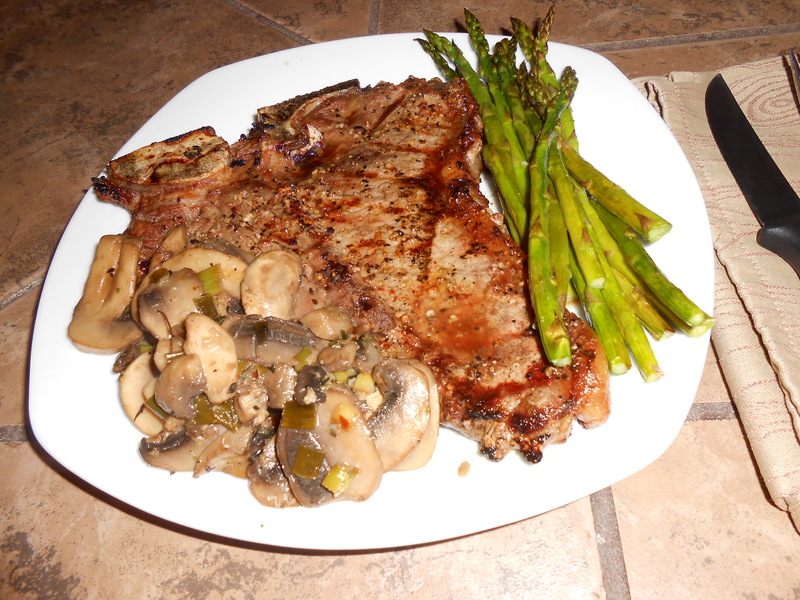 Posted on April 14, 2014 April 14, 2014 by LoriPosted in Food Likes, GrillingTagged Food, Grilling.